The game of dominoes may have originated in 12th century China, according to the website Domino Games. Today the game is particularly popular in Latin regions, and many Caribbean countries consider dominoes to be their national game. 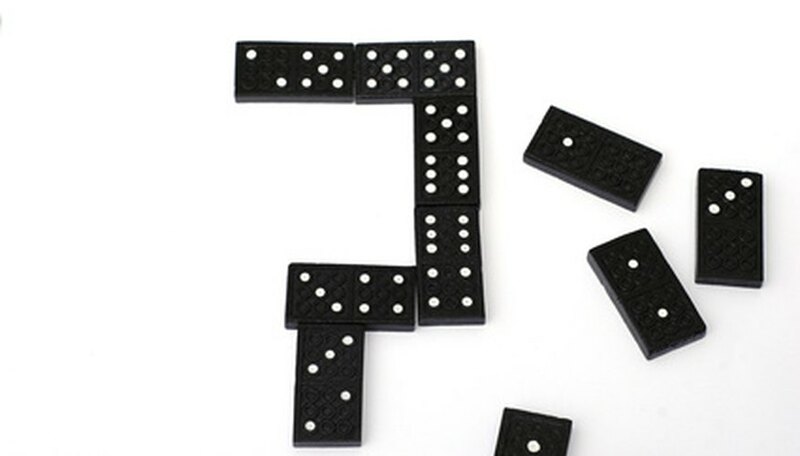 There are several versions of dominoes, including some "house rules" that vary from place to place. However, the basics of this luck and strategy-based game are easy enough for even young players to learn. Dominoes is played by two or more people, depending on the size of the domino set. There are several slang expressions used in the game of dominoes. Domino "lingo" must be understood in order to grasp the rules of play. Dominoes are often referred to as tiles or bones. The collection of dominoes from which players draw is called the boneyard. The dots on the tiles are also called pips. Dominoes with the most pips are considered "heavy," with the six-six being the heaviest, and those with the least pips are "light," such as the one-zero. Dominoes with the same number of pips on one end belong to the same suit. For example, a three-five and a one-five both belong to the "five suit." With the exception of doubles (one-one, two-two, etc.) all dominoes have two suits. Doubles belong to only one suit. In a standard set of dominoes the largest tile is a double six, but larger sets contain double 12 and even double 18. All the dominoes should be placed face down on the playing surface and each player can help move them around in a random manner to shuffle. Caution should be used to keep the tiles face down so players cannot see the pips. The players determine who gets the first move by choosing random tiles. Whoever draws the heaviest tile begins play. Players choose tiles from the boneyard and place them on edge so that he or she can see the dominoes' value. How many dominoes are chosen depends on which version of the game is being played. The winner of the draw lays down his largest tile. Players must match the suit of the "open end" of a domino--the one that is not touching another tile. 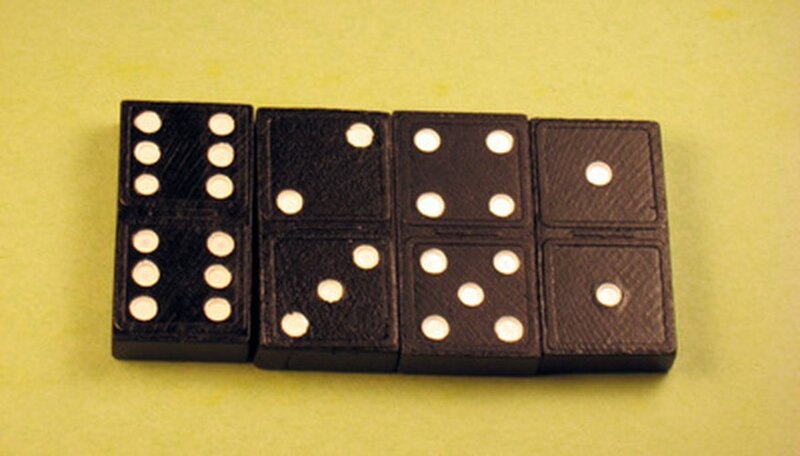 In some variations of the game, double-sided dominoes must be laid cross-ways, but in other versions they are played like all other tiles. Going clockwise around the table, each player lays down a tile that shares a suit with the open end of the last tile played. Players continue laying down tiles in a straight line or L-shapes if space is limited. If a player does not have a playable domino in her hand, she must draw from the boneyard until she gets a tile that can be played or until the boneyard is empty. Some versions of the game allow for a player to pass after drawing only one tile or simply passing without drawing at all. The game is over when one player lays down all his dominoes. Tradition calls for the player to announce "domino" when playing his last tile. If the game becomes blocked, meaning no player can add another tile to the board, then the player with the fewest amount of tiles is determined the winner of that round. Each player counts the number of pips on their remaining tiles and awards the points to the winner of the round. The first player to reach a predetermined target score, typically 100 or 200 points, is the game winner.